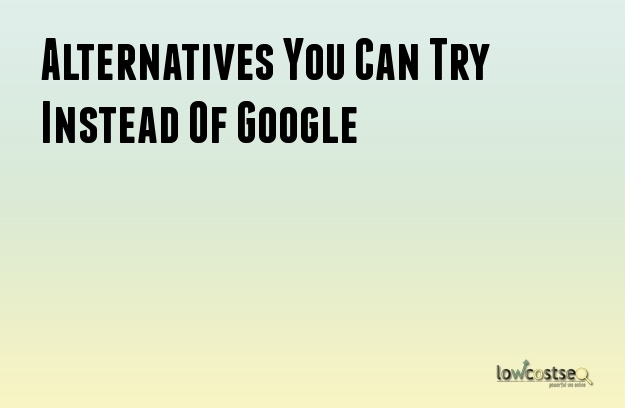 There are quite a few alternatives to Google. Some of them are even capable of giving you a better search experience. Others are limited in their search scope which makes them extremely useful in searching for something particular and specific. So if you are tired of being unable to find something due to the SEO policies and search algorithms of Google, you can give these alternatives a try. Often considered to a poor man’s version of Google, Bing has not received too many favorable reviews from critics. However, if you dig a little deeper, you will find that Bing has quite a few features that make it stand apart from its more famous competitor. You can use the LinkFromDomain search operator to find information about outbound links. That can be extremely helpful for your SEO campaigns. You can use the Feed search operator for locating Atom or RSS feeds. Other useful search operators include ‘Contains’ and ‘near’. There can be times, such as Reputation Management campaigns, when you need information that can be found in the different boards and forums spread across the internet. In such situations, Boardreader can be a highly useful tool. This search engine can provide information that is spread across message boards and web forums. It is possible to search multiple message boards at the same time. You will find BuzzSumo to be an invaluable companion in your SEO campaigns. It can be used to analyze the content which has the best performance for a particular topic or website. This functionality can be applied to your competitor websites or the topics of your business so that you can gain invaluable information for your content marketing strategy. You can even identify influencers for a particular topic with the help of BuzzSumo. If you want to find media that exists in the public domain, you will need CC Search to make your task easier. It is actually a search aggregator. Therefore, you will be getting access to various search results that have been provided by different independent organizations. However, you should always check that the media possesses a creative commons license as sponsored results are also delivered by CC Search. Quantcast is the search engine to use if you require statistics about demographics and traffic for web proprieties. You will be getting accurate insights to over 100 million web properties. You can get a huge amount of details as well. However, the best thing about the Quantcast is that the statistics can be viewed for free. SocialMention is perfect for garnering search and analysis from various social media networks in real time. Google may be the most popular search engine in the world. However, there are just some functions which it is not capable of providing.